In the coming decades, demographic, economic and social changes will result in an increased proportion of elderly persons in the workforce in most industrialized countries. This trend is causing growing interest in the problems of the ageing worker in current employment. 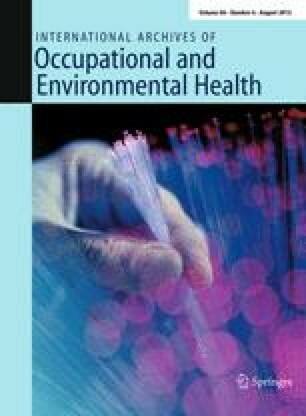 The objective of this particular paper is to provide more insight into the impact of ageing on the balance between physical work capacity and physical workload. To this end, the scientific literature in the field is reviewed and ordered by means of a specific conceptual model of “ageing and physical workload”. A progressive decline in physical work capacity, characterized by diminished aerobic capacity and muscular capacity, has consistently been reported. However, inter-individual differences appear to be considerable. The question of whether there are systematic differences in physical work demands between younger and older workers within occupations has been answered vaguely. Conflicting results in this matter bring into discussion the role of the actual working method as one of the determinants of the physical workload. An agerelated imbalance between physical workload and physical work capacity is suggested to result in a chronic overload, increasing the risk of long-term health effects such as musculoskeletal complaints and disorders. For many ageing workers in physically demanding occupations, extreme physical workloads, increasing the risk of disease or disablement, are still reported. The multiconceptual study of ageing and physical workload in the present paper reveals several possibilities for preventive measures. However, as information is still lacking, additional research is needed, in particular on the onset and development of long-term effects on health in relation to age and work demands.